Peter Roberts, a Pittsburgh native now transplanted to Ohio, has poems forthcoming in Dreams & Nightmares and The Magazine of Speculative Poetry and has had work published in various and sundry other places. 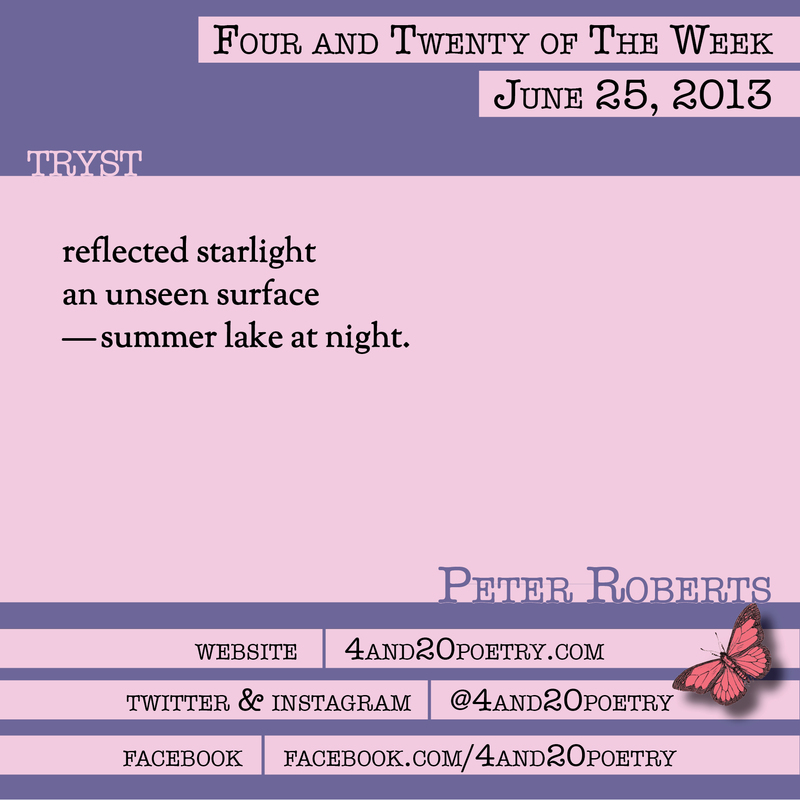 This entry was posted on Tuesday, June 25th, 2013 at 4:20 am and is filed under Four and Twenty of the Week, Micro Poetry, Poetry. You can follow any responses to this entry through the RSS 2.0 feed. Both comments and pings are currently closed. the newest quarterly issue is ready to read. if you want to see some great writing and great writing styles in the short poetry form this is the place to go!